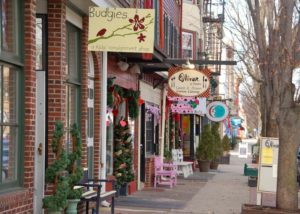 Although Bordentown hosts a rich history, it is also a modern community with much to offer residents. Situated at the northern tip of Burlington County and bordering Hamilton Township, it is located at the crossroads of the American Revolution and today’s modern highways. Serviced by the New Jersey Turnpike, Routes 130 and 206, and Interstates 295 and 195, Bordentown enjoys easy access to the cultural and commercial advantages of Princeton, Trenton, New York, and Philadelphia. The revitalized business district of this “little city with a lot of charm” offers residents a pleasant climate. The town’s beautiful and historically significant architecture houses many interesting shops and restaurants, as well as a friendly and Caring community.